Health Minister Dr. Rajitha Senaratne hands over an appointment letter to a newly recruited male nurse while other officials look on. Rs. 18,500 million will be spent on the new nursing faculty and nurses will be given facilities to learn English properly, Health Minister Dr Rajitha Senaratne said. Addressing the gathering after handing over appointments to 1,608 newly recruited nurses during a ceremony held at Temple Trees, yesterday, he said that Health Ministers from the USA and UK had promised to provide employment. Degrees will be offered to pharmacists and other health professionals. They will be graduated in four years. According to Minister Senaratne, there is a shortage of 7,000 and five nurses training schools will be developed to train more nurses. Thus, Sri Lankan nursing profession will be given an international recognition. ‘In foreign countries, there is no competition to receive degrees as they have enough universities. But, here in Sri Lanka, there are restrictions for higher education and protests are being staged against private medical education. Today, Sri Lanka does not have enough doctors. 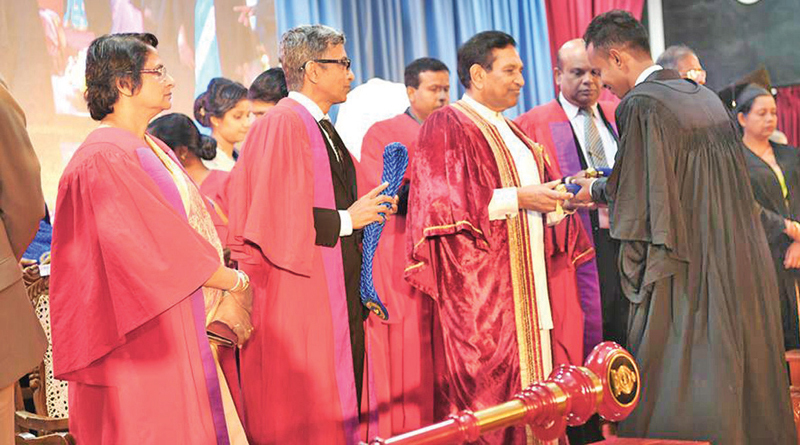 Sri Lankan youth go to Bangladesh and Nepal to get the MBBS, the minister said. ‘We are living in a country where people call themselves patriotic while trying to appoint American citizens as the President in Sri Lanka, he added.